Speak was basically designed to ease the communication between teams, especially the remote teams. It was built with the view to provide instant push to talk communication and to allow the team members to connect to each other in a push message without setting up any prior connection. Speak offered simple and just a click away calling method. It was built keeping in mind the teams who worked from home or remotely. Apart from push message to talk it also offered group video and screen share. It allowed up to twenty members to connect at the same time. The app allowed to create new channels and also invite new people. The company had a roadmap plan ahead of it and was consistently working on it to make its product better, easier and faster to use. The roadmap that they had planned for October 2015 focused on web access and scheduled meetings. Through web access the team wanted the guest users to speak and join the call without having to download the complete app. For the scheduled meeting the team wanted to make scheduled calls easy and efficient. The roadmap designed for November 2015 included open API and integrations with other applications. 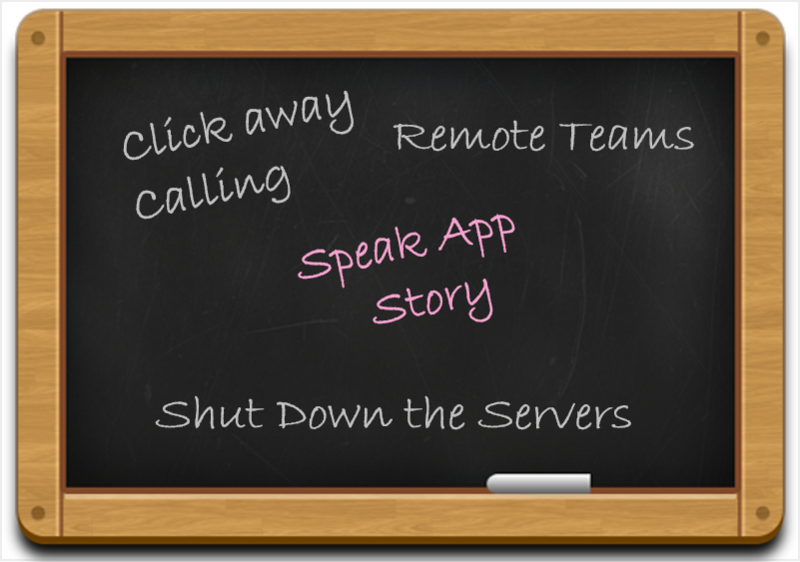 The team was focusing on RESTful API behind the scenes to access the core function of Speak like starting and stopping any calls. They also had plans of integrating Speak with the user’s existing tools such as Hipchat, Slack etc. From their customer reviews and the feedback received, the team analyzed that most of the customers wanted integration mostly with google apps, hip chat and basecamp. The team had been doing a good work indeed and customers were satisfied with them but there were a few bugs that customers faced. There were complaints about the app and in some cases they were not able to make calls also. The latest version released on 22 November 2015, had some new features and had fixed some bugs also. The latest version allowed users to choose the screen or window to share and modify Slack related options. Also the team fixed a few bugs like unable to change camera selection, error in password reset and many other several small glitches. The team then announced that they were going to shut down on 15 February 2016. The team said that it would be deleting all the personal data, authentication details and will be shutting down the servers completely. The users were advised to download the important chat history before they shut down the servers. They also asked the paid users to contact them with the details so that they can refund them. However the reason for the shutdown is not out yet. Some people think that it might be bought by someone else while some were just sad about the shutdown as they enjoyed the app. Having shut down the team has said that the team felt bad that so much of their effort had to be brought down and that they would be very excited to work on a variety of new projects.